Circa 1926. 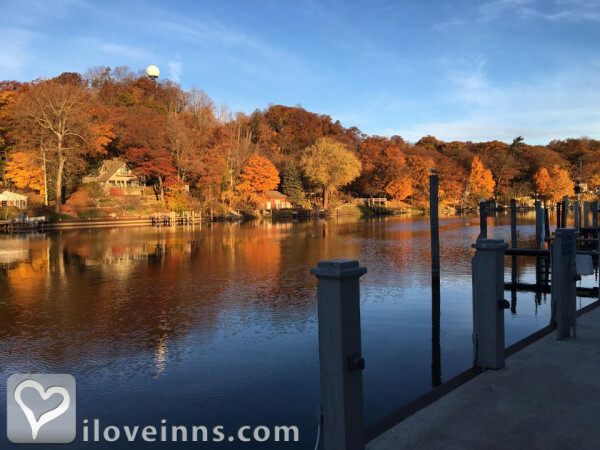 Located on the edge of the Kalamazoo River and across from the nature observation tower, this downtown inn was once a boathouse. The common room now has a fireplace and view of the water. Each guest room has its own deck. The inn is near several restaurants, shops and beaches. Fishing for salmon, perch and trout is popular. Payment Types Accepted Include Discover, American Express, Master Card, Personal Checks, Travelers Checks, Visa and Diners Club. 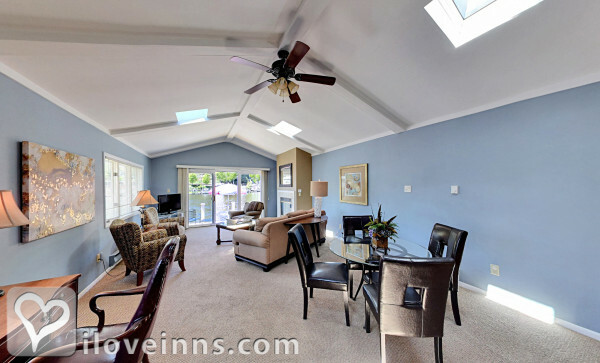 This property has 12 total guest accommodations, 10 with private bath, 5 with fireplaces, 3 with whirlpools, 4 total suites, including 1 two-bedroom suite. The types of beds available include Queen, Twin and King. Relaxation is at the heart of the BaySide Inn Bed & Breakfast, where you'll enjoy amenities such as the waterfront jetted-spa where you can watch the boats move though the channel, or unwind in front of a private crackling fireplace while taking in the romantic views of the Saugatuck Harbor from your suite. 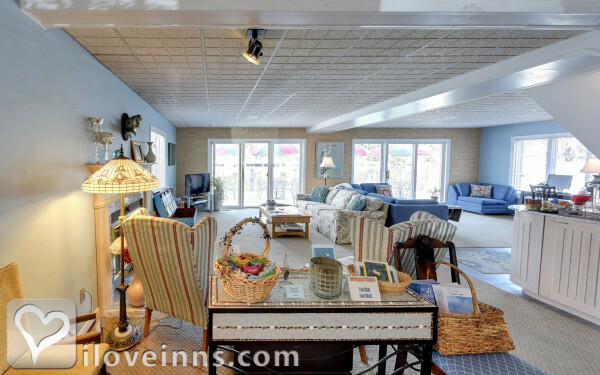 Each of our rooms has a private balcony or deck. A common's area deck offers seating just feet from the water's edge. A waterfront hot tub is open year round. Flowers, trees and bushes and seasonal flowers decorate the street side of the inn. All weekend stays are subject to a 2-night minimum throughout the year (exceptions are occasionally made during the winter months). 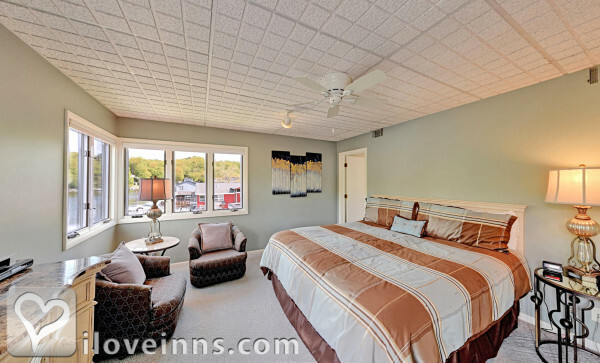 Weekends in July & August require a 3-night minimum stay for guest rooms. 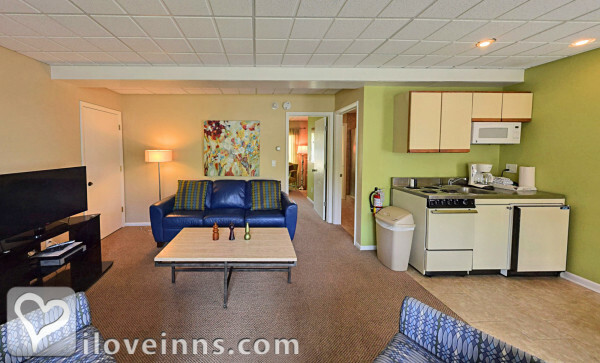 Suites have a 4 night minimum in July & August. Holiday and Festival weekends may have longer minimum stay requirements. In waterfront suites only. Please note that our property sits on the water and there is no barrier between deck and water. Cancellations received 7 or more days prior to the scheduled arrival date are subject to a $15.00 cancellation fee; the remainder of the deposit will be refunded. For cancellations made less than 7 days prior to the scheduled arrival date, the room deposit is non-refundable. Holiday and Festival weekends and weekly stays may require a 30-day notice for cancellations. 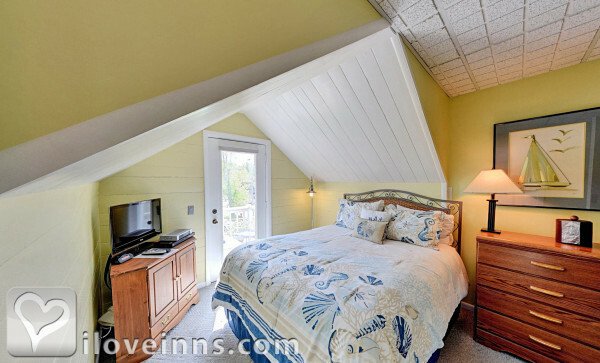 The Bayside Inn Bed & Breakfast was originally built in 1927 as a boathouse with living quarters on the upper level. Flourishing during this period, it served as a boathouse until the mid-1940's. 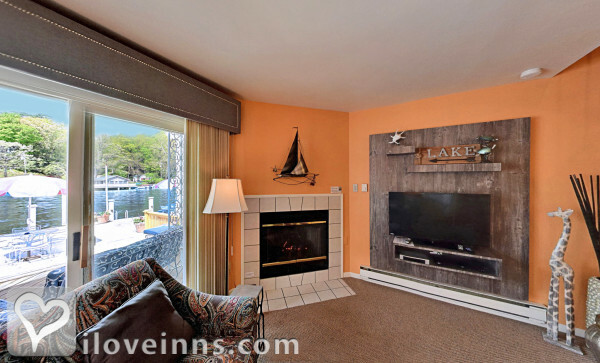 In 1945, the building was turned into a marina, it's obvious prime location �" mere steps away from the bustling downtown village of Saugatuck �" was in high demand. What stands today as the Harbor House (Bayside's two large suites, #9 and #10) served as a boat-garage during the period between 1945 and 1956, when the marina closed. For many years, high waters kept the building partially submerged. A seawall was added, but even that wasn't enough to hold the water back. The building sat with a failing foundation immersed in water until 1990. It was then that Kathy and Frank Wilson stepped in and purchased the challenged property. 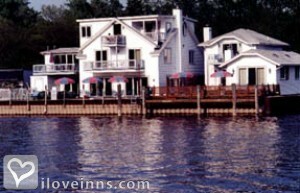 They proceeded to transform the property into Saugatuck's most prestigious waterfront bed and breakfast. The dates this property will honor the certificate are Nov. 1-March 31, Sunday-Thursday, subject to availability, no holidays. 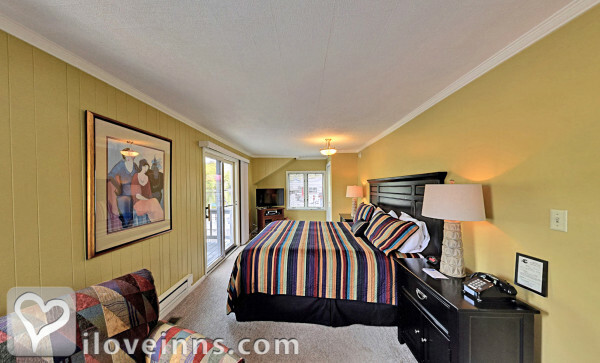 - One Night Free: This property is featured as participating in the iLoveinns.com Buy-One-Night-Get-One-Night-Free program. Our stay was wonderful, more pleasant than anticipated, we were so pleased. As for breakfast, it gets our A 1 rating. We had a great time! It was better than anticipated and we plan to return. Breakfast was great too!